A desktop facsimile system, the Toshiba e-Studio 170F handles medium-volume faxing, printing, scanning, and basic copying. 7MB of memory enables 700 faxes to be securely stored. A built-in backup battery provides 1 hour of power to prevent lost phone lists. The front of this desktop machine is a complete control panel. A 10-key phone-style keypad makes dialing intuitive. Below the 2-line LED display are buttons for image and job control. For distribution lists and faster transmitting, the e-Studio 170F has 38 keys for one-touch speed dialing. A phone is built into the side of the 170F that allows you to talk to someone before sending out or receiving a fax. The e-Studio 170F allows you to program up to 150 fax and phone numbers. It can also hold up to 50 distribution lists. The autodialer allows for one fax to be transmitted to up to 188 locations (but no junk faxes, please). With all of these features, Toshiba understands there will be times when you only want to send a single fax to a single number. 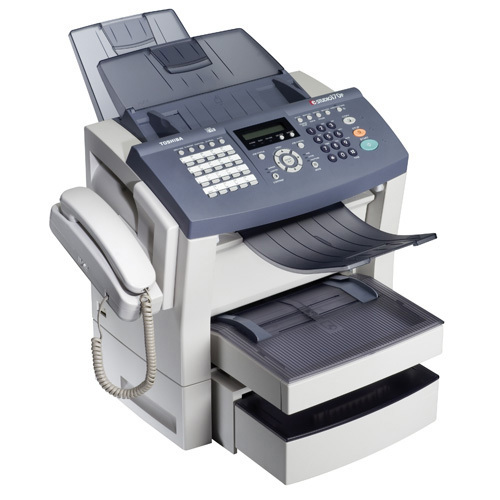 With Quick Scan, a fax can be transmitted with a couple of button presses in under 3 seconds. In the event the e-Studio 170F is unable to print, up to 700 incoming pages are automatically routed to the Toshiba’s built-in 7MB memory. If a sender transmits a confidential fax, it too will automatically get stored into memory until a password is entered to print it out. The e-Studio 170F has transmission speeds up to 33.5Kbs for a 3-second transmission rate per page. Printing and copy speeds reach up to 17 pages per minute of 128-level grayscale images at 600 x 600 dpi resolutions. Using the automatic document feeder, up to 40 letter or legal-size pages can be scanned on one side. 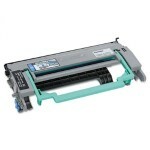 The e-Studio 170F can hold up to 250 sheets of letter-sized or legal-size paper. For even more capacity, a second 500-sheet tray can be attached for over 750 sheets. A multi-purpose bypass tray allows for single-sheet feeding of transparencies, envelopes, and labels. Its large paper capacity makes the e-Studio 170F a good office copier and printer. Copying is as easy as placing the original in the feeder and pressing the “Copy” button. Resolutions of 600 x 600 dpi with settings to adjust exposure and contrast will print up to 99 monochrome copies at 17 pages per minute. Software, printing, and computer scanning support are for Windows operating systems only. Basic printing and some scanning functions are possible for Apple and Linux owners by using the OS’s built-in own printing services and drivers. The only way to use the 170F from a computer, it has to be connected to somebody’s computer via the USB connection. If the printer feature is to be networked, that computer will have to remain on to enable other computer users to share the printer feature of the 170F. Both of these features will make whoever gets this multi-function fax machine the center of all office activity and noise levels. The 250-sheet paper tray is woefully undersized for a touted “medium-volume” machine. It’s typical for even a small office to go through a ream of paper in a single day in copying, faxing, and printing. The second 500-sheet add-on tray would be a good investment for offices that go through a lot of paper in a typical day and are looking to buy a 170f. Review it: "Toshiba e-Studio 170F "
Having the drum as a separate component reduces the overall consumables costs. 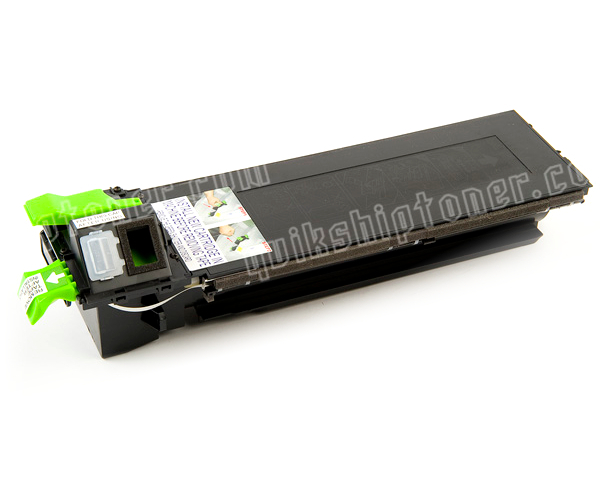 The toner cartridge will last for about 6,000 B&W pages (less if printing or copying graphics). The drum has a life of 20,000 pages, or after every 3rd toner change.